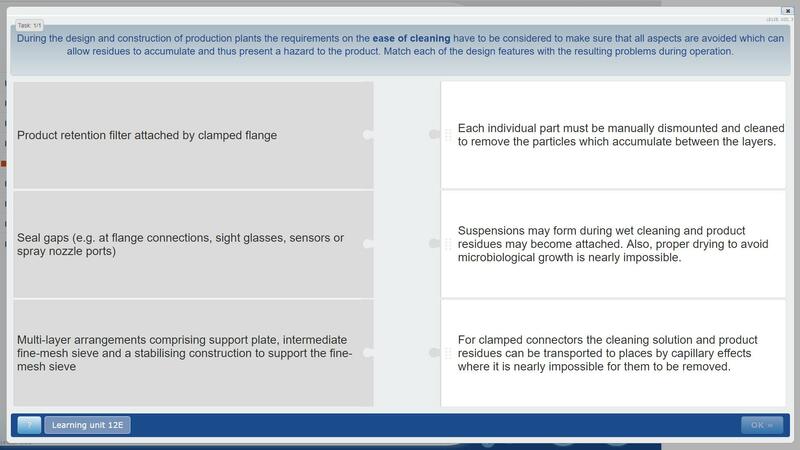 Do you know the keywords "clean room" and "hygienic design" and their meanings? What technical requirements must be met to ensure good drug quality? 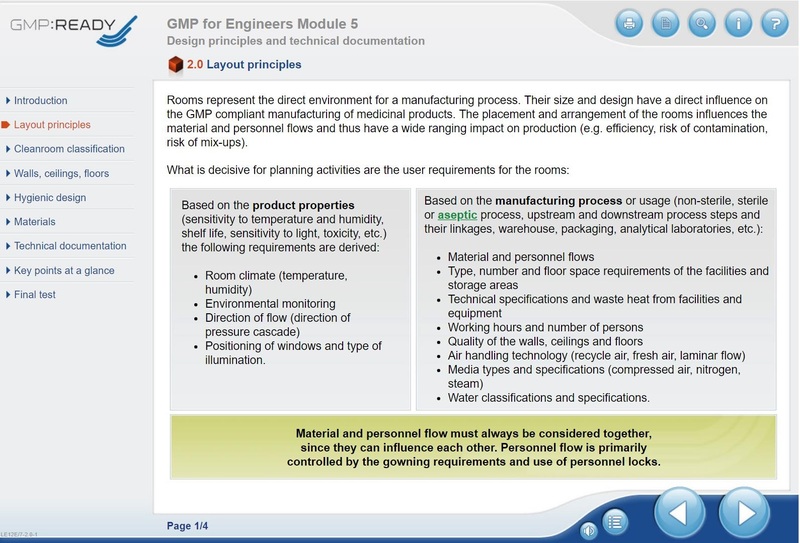 In this e-learning course you will learn more about the aspects that need to be considered when planning and designing pharmaceutical rooms and facilities. Important keywords in this context are "clean rooms" and "hygienic design". As patients, we are glad that we can rely on the quality of the pharmaceuticals. Enormous technical requirements have to be met. 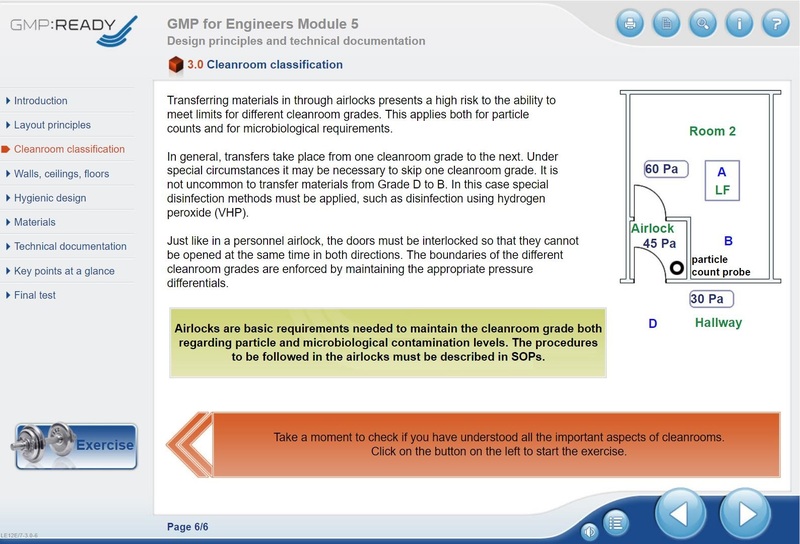 What these requirements are and how they can be fulfilled is explained to you in this course unit. Learning Goal: Learn more about the aspects that need to be considered when planning and designing pharmaceutical rooms, equipment and facilities. 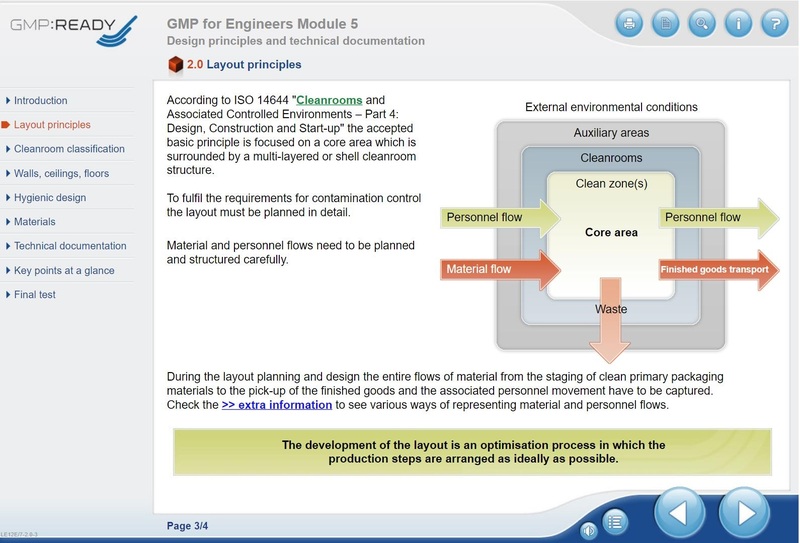 Find everything you need to know about technical requirements, clean rooms and hygienic design in this course unit.